Cía General Fabril Financiera S.A.
Spanish suited playing card brand names include: Angelito, Domador, Payador and Victoria. 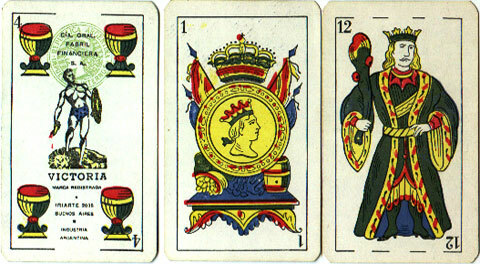 These cards were based on Catalan designs appropriated from Sebastian Comas y Ricart of Barcelona (Spain). 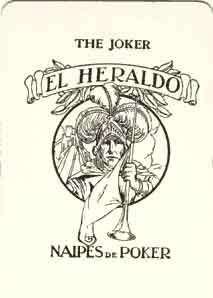 Naipes El Heraldo, registered in 1930, and Naipes Mónaco were the company's leading Anglo-American playing card brands. In c.1975 Gustavo Pueyrredón designed a special pack celebrating Aberdeen Angus cattle breeding. 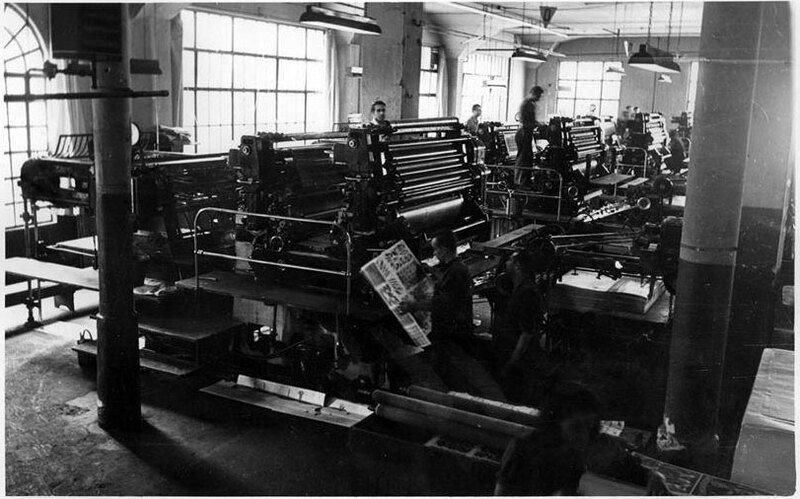 The firm commissioned artists such as Dante Quinterno, Divito, Lino Palacios and Carlos Páez Vilaró. A special promotional pack was produced for Parliament Cigarettes in 1977 with cartoon characters on the courts and jokers, designed by Carlos Loiseau. There was a business relationship with F.X.Schmid of Germany during the 1970s, but the playing-card side was finally taken over by Joker S.A. in 1977. The business closed down in 1995, when the official Telephone Directory contract was lost and debts escalated, and the buildings were destroyed by fire and bankruptcy ensued. 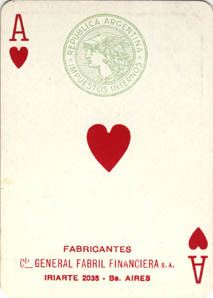 Above: Ace of Hearts with green "Impuestos Internos" tax stamp, and the address: Iriarte 2035, Bs Aires.